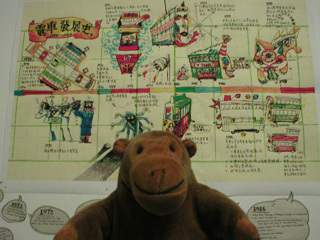 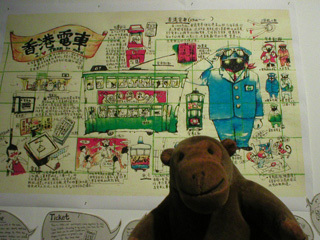 "Apparently, quite a lot of large cats ride the Hong Kong trams"
Mr Monkey was fascinated by the graphic history of trams in Hong Kong presented in Stella So's Lonely Moon Tram. 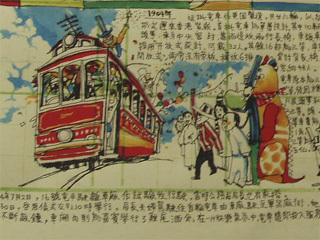 As well as graphics showing changes in the way trams operated, there's a video about a mysterious ghost tram that wanders Hong Kong at night carrying the spirits of old, demolished, shops. 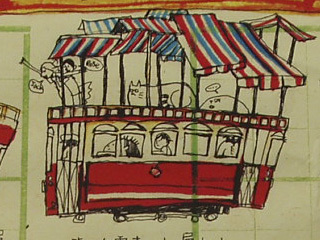 You can read about the artist at the Stella So website, and about the trams at the Hongkong Tramways Limited website.